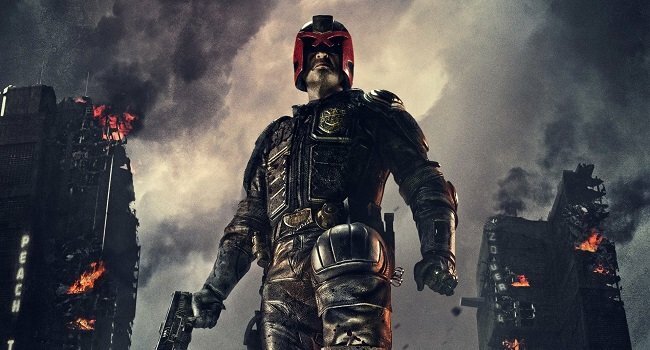 Alex Garland and Pete Travis’ rendition of Mega-City One’s Judge, Jury and Executioner may have struck a chord with fans four years ago, but a lowly box office performance effectively deemed Dredd to be a one-hit wonder. That hasn’t quelled reports of a sequel battling against the odds to enter production though, particularly in recent weeks with lead star Karl Urban entertaining the possibility of Dredd 2 setting up shop via online streaming (read: Amazon Prime or Netflix) in a move that would welcome the actor’s return in the famous armored suit. Speaking to Den of Geek ahead of this year’s Star Trek Beyond, Urban reflected on Dredd‘s misfortunes, which he believes can largely be attributed to a botched marketing campaign. Pointing to the Rotten Tomatoes review aggregate and the general fandom that the movie evoked, here’s Urban’s take on why Dredd missed the mark almost half a decade ago. Looking ahead to the future, though, the actor conceded that the middling performance of Dredd has made it “problematic” to pitch the proposition of a follow-up. Nevertheless, Urban remains optimistic that a “worthy” sequel can get off the ground eventually. The unfortunate theatrical release of Dredd and the manner in which it was mishandled made it problematic for Dredd 2 to be immediately funded and produced in the same fashion. But the success it has achieved in all post-theatrical mediums has definitely strengthened the argument in favour of a sequel. But it’s not an easy sell. I’m constantly blown away by the fan support and love for Dredd. I get stopped and asked about Dredd most days, I find it strangely ironic that to get recognised and associated with a character whose face is largely obscured behind a helmet. Dredd 2 continues to elude a production start and at least for now, that doesn’t look set to change anytime soon. But what are your hopes for Karl Urban’s potential future as Mega-City One’s brutal enforcer? Sound off below and let us know!